Tigerair Australia is launching nonstop service between Melbourne and Townsville from June 22 2017. The flights will operate on Tuesdays, Thursdays, Fridays and Saturdays as a morning departure from Melbourne and a lunchtime takeoff from Townsville. Townsville is Tigerair’s 13th domestic destination and fifth in Queensland alongside Brisbane, Cairns, the Gold Coast, Proserpine. Indeed, some 50 per cent of Tigerair’s domestic flights are either to, from or within Queensland. Tigerair said on Wednesday the new flights were supported by the Queensland Government’s Attracting Aviation Investment Fund through Tourism and Events Queensland in partnership with the Townsville City Council and Queensland Airports Limited. “I would like to extend our thanks to Townsville Airport and the Queensland Government for their support in making these new services a reality. Tigerair looks forward to increasing air travel between the two popular destinations in the future,” Tigerair head of communications Vanessa Regan said in a statement. The Melbourne-Townsville route is currently served by Qantas’s low-cost unit Jetstar. Tigerair was recently forced to end flights to Bali after reaching an impasse with Indonesian regulators over approvals to operate to the popular tourist destination. Honest question – What relevance does the withdrawal of Tigerair from the DPS route have to this new start up? Astounded it’s taken this long, but a welcome addition to the Townsville scene. The airport has stagnated at 1.6 million pax for many years despite optimistic growth projections. The QAL management really needs to get on with development of the terminal, and take a leaf from Wagners in courting political and industry support. The airport really needs an Asia-NZ through service to grow its international potential and provide economy of scale to the international facilities (like customs, duty free, lounges etc). Two destinations in one hit (akin to the Canberra capital service) would seem to be the best option. I can see the flights to Melbourne being full, as for flights to Townsville……Cairns is and always will be the preferred holiday destination for Victorians. Whilst it does introduce competition to the Melbourne route, which might help with Townsville’s interminably high air fares, the danger here is that it just canabilises Jetstar A321 services and the existing passenger pool rather than actually growing the market – which is what Townsville really needs. As @Teddy identified above, the passenger volume for this airport has been stuck at around 1.6 million for an alarmingly long time. Despite protestations, QAL seems to be short on ideas for really transforming the airport facilities and permanently growing services (particularly when passenger levies are taken off the table). In recent years whilst it has gained a number of new direct routes (Darwin and Toowoomba for example), it has over the same period lost just as many (Canberra and Gold Coast); and all the while it limps along with a single international service to Bali which is not nearly enough to truly underwrite the support services, nor gain traction with the traveling public. This will come as a surprise – you will find that over the history of Jetstar services on the MEL-TSV route, Jetstar has actually had to increase from A320 to A321 aircraft due to high load factors in BOTH directions. Your idea that Cairns has always had some exalted position is a complete furphy. It was only in the mid-late 1980s, after the runway extension in 1982, that Cairns was able to assume some dominance over Townsville, particularly for international services. Interesting that they are looking at further flights from Townsville with additional domestic and international possible. They could operate new city pairs PER-TSV and ADL-TSV and on the international front to SIN and AKL all within the range of their 737s. @Chuck says… The Cairns runway extension played no part in Townsville losing International routes…..aircraft were landing at Townsville near empty and that is why Townsville lost the international route to Cairns 30 years ago. No longer get into Melbourne near Midnight we most likely mean full loads for Tiger. years ago was cheaper to fly and have 5 nights in Fiji rather than return from Melbourne to Townsville. Now we need Virgin for this route. And with Air Niugini flying to TSV from 31.3.2017.its moving along. 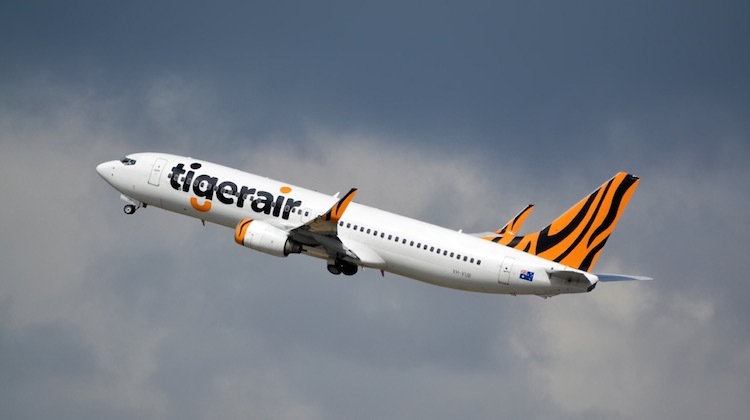 WOW it will be interesting to see the new tiger 737-800. but why would they use it to fly to Townsville.